Most people do not realise how hot it can get in a vehicle whilst in transit. Research shows that even in a moving vehicle with the air-conditioning on or the windows open the temperature throughout a vehicle can vary by up to 8°C (47°F), it can be 27°C (81°F) in the front near the air-conditioning or open window and at the same time be 35°C (95°F) in the back where your dog might be! 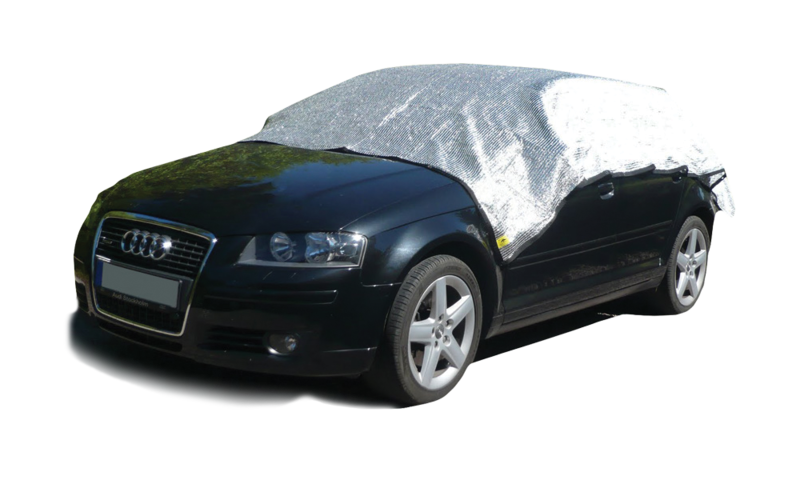 With an external temperature of 25°C (77°F), the internal temperature of a stationary vehicle (ie. in a traffic jam) can exceed a fatal 33°C (91°F) in a matter of minutes! These temperature changes happen very quickly – typically 50% of the temperature increase occurs in the first twenty minutes. So this can mean when it is a temperate 18°C (64°F) outside, in your car it can reach 34°C (93°F) in 20 minutes and a staggering 50°C (122°F) in a matter of an hour. 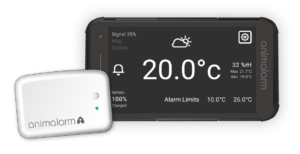 Whatever environment your dog is in we recommend that the upper trigger temperature is set at 25°C (77°F) and the lower trigger temperature is set at 10°C (50°F). 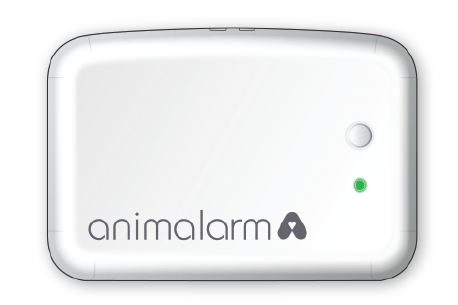 Be aware of potentially life-threatening changes with AnimAlarm. Animaware Ltd do not recommend leaving dogs unattended in vehicles. Dogs are especially vulnerable to heat-related illness because they can only cool off by panting and sweating through the very few sweat glands in their footpads. Studies show that cracking the windows open or turning up the air conditioning have very little effect on a car’s internal temperature once stationary. Having an accessible bowl of water is of marginal benefit. Dogs with short noses, those who are overweight or heavily muscled, long haired breeds, very young and very old dogs, dogs that are unwell or are on medication are all more prone to heatstroke. All dogs are at risk if exposed to high temperatures. What happens to dogs in hot environments? Exposure to excessive heat causes the body’s cells to stop working properly and release dangerous chemicals, which can lead to nerve damage, heart problems, liver damage, brain damage and death. In short, the dog’s vital systems shut down very rapidly – and almost always irreversibly. Immediately move the animal to a shaded and cool area and ring your vet for advice. Dogs suffering from heatstroke urgently need to have their body temperature lowered. Let your dog drink small amounts of cool (not cold) water. Take your dog to the vet. Heatstroke is taken very seriously at veterinary practices. Veterinary treatment is started immediately but many dogs do not survive this distressing condition. Treatment can be very costly and even when a dog does pull through, recovery times can be lengthy. What happens to dogs in the cold? If the temperature reaches 0°C (32°F) dogs can be prone to hypothermia and frostbite, which can both be life-threatening.